A stylish riverside hotel from a world-renowned 5* brand complete with luxury spa facilities and an outdoor dining terrace overlooking the Thames. 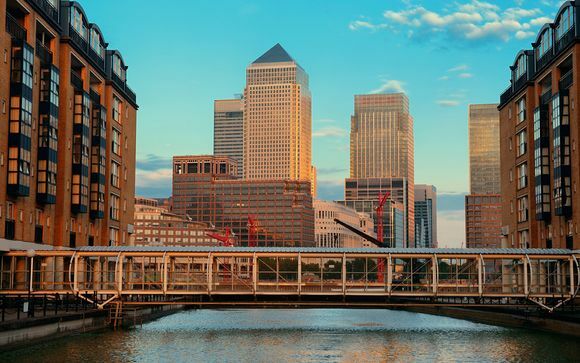 An exciting location in London's docklands, buzzing with restaurants, bars and shops, you are also within easy reach of the city centre. Our members will receive a guaranteed upgrade to a Premier King River View Room. 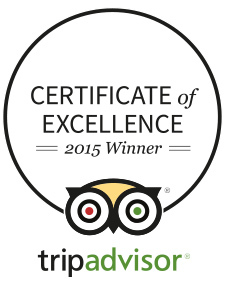 Celebrating Hospitality Excellence: This hotel won the Certificate of Excellence from the world's leading review website, which honours hotels & accommodations that consistently demonstrate a commitment to hospitality excellence. Can you keep a secret? 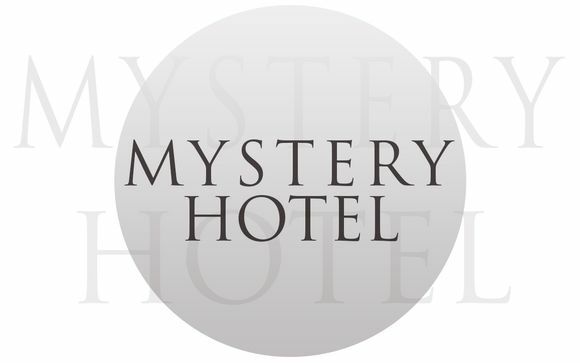 We have negotiated a fantastic deal at the mystery hotel below, exclusively for you. The deal is so good that we've had to keep it hush hush...Rest assured that this hotel has been carefully selected by our experts for its quality, location and service. Built on the historic site of the West India Quay – the busy centre for Britain’s spice trade hundreds of years ago – the hotel’s riverfront location is an exciting base for your stay in the city. On weekday's, the area buzzes with a young corporate crowd, who are well catered for with luxury shops, retsauranst and bars. With excellent transport links to the city centre too, you can take in all the city's iconic landmarks with ease. International modern art in the transformed Bankside Power Station. The Tate Modern offers a spectacular experience, both in the venue and in the collection. It also features a shop and a café overlooking the river. This fruit and vegetable market spreads out in an L shape beneath the railway tracks running into London Bridge tube station. It is the successor to a medieval market held on London Bridge. In 1276 the market was moved to Borough High Street to avoid congestion and was moved again in 1756 for the same reason. The buildings of its present location date from 1851. Recently the area has been given a new lease of life by the weekly Saturday food market held here. Stalls include de Gustibus and the Fresh Olive Company. Borough Market is located between Borough High Street, Bedale Street, Winchester Walk and Stoney Street, in London SE1. Nearby are the Neal's Yard Dairy, selling British and Irish farmhouse cheeses, the acclaimed fish! restaurant, and Konditor & Cook, the bakers. Travel time to the market is either a 15-minute boat ride or a 15-minute tube ride. St. Paul's Cathedral, Sir Christopher Wren's masterpiece, was built on the site of an old Gothic cathedral that burned down in the Great Fire of 1666. Constructed between 1675 and 1710, St. Paul's beautiful Renaissance cathedral is dominated by a splendid dome, second in size only to St. Peter's in Rome. A modern luxury hotel situated in a vibrant new section of London with views of the River Thames and the city. This stylish and intimate 10-storey hotel features state of the art fitness facilities, indoor pool and a river view spa treatment suite. The refined restaurant features a simple, elegant, seasonal menu - modern British dining at it's best. Located on the higher floors of the Hotel, Premier River-View Rooms offer some of the best panoramic views of London, the River Thames and the Hotel garden. Enjoy the many sights of the city's historic past as well as modern additions to its growing skyline. Dine on seasonal dishes at this refined restaurant, where simplicity and elegance are key. The Sunday brunch is not to be missed - starting off the experience by sipping your complimentary glass of Prosecco, it features an array of different dishes, ranging from sushi and mezze to sustainably farmed Colchester oysters and authentic Italian cold cuts, traditional British Sunday roast, and an indulgent dessert table. Indulge with classic British dishes such as Fish & Chips or or try one of the signature cocktails at this welcoming bar & lounge. During the summertime, take full advantage of the outdoor terrace overlooking the Hotel’s gardens and the river Thames beyond. Located on the second floor of the Hotel, the private River-View Treatment Suite allows individuals or couples to indulge in Organic Pharmacy products, rose and jasmine fragrances, personalized massages, and facial treatments. A luxurious spa experience complemented by stunning views of the River Thames – truly a treat to remember. Transport is not included in this offer. Canary Wharf is connected to central London via the Jubilee Line on the London Underground. The journey takes 20 minutes. A river ferry provides frequent service from a jetty in front of the Hotel to Embankment Pier, conveniently located in the West End. Your contract will be with the provider of the accommodation and not Voyage Privé. Voyage Privé acts only as agent for the accommodation provider. Please read our booking conditions before confirming your holiday. Please check all details on this confirmation are correct. If there are any discrepancies, please notify us as soon as possible. You will also receive an accommodation voucher for presentation at the hotel reception at point of check-in.